At 32 Dental, patients can access solutions for their smile to keep it beautiful and healthy over time. Drs. Lan Vo and Sean Breckley have a strong focus on preventative care. These are treatments that can be done to maintain the smile’s health without waiting for things to go wrong. Our dentists can explain to patients the benefits of a routine examination and regular teeth cleaning services at least twice a year! 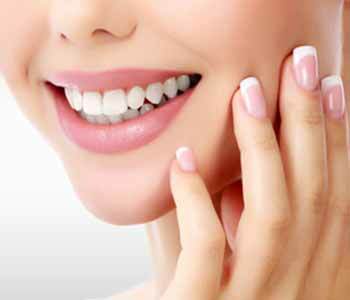 What are the benefits of teeth cleaning? Teeth cleaning has several advantages for our patients to consider when it comes to their oral health and wellness. Prevent tooth decay. When patients maintain their regular examinations and teeth cleanings, they can enjoy the benefits of a cavity-free smile. While brushing and flossing at home is important for keeping this problem at bay, visiting the dentist for a cleaning is a wonderful way to remove stubborn areas of plaque that can eat away on the natural tooth enamel and result in cavities. Our dentists also take x-rays in addition to performing a physical examination to monitor for developing issues. Prevent periodontal disease. Periodontal disease, or gum disease, is a condition that can become extremely problematic if left unattended. The condition is completely preventable with proper care of the teeth and gums at home and in the office. Periodontal disease treatments may include thorough cleanings such as scaling and root planing. Our team is also well-versed in diagnosing periodontal disease to provide proper recommendations for treatment. Brighten the smile. As patients enjoy their favorite foods and beverages, they may be putting their tooth enamel at risk for staining and discoloration. Elements such as teas, wines, and tobacco can result in stains building up. When patients come into the office for teeth cleanings, they can have many of these stains removed during a polish and enjoy a brighter smile! Improved breath. Halitosis, the medical term for bad breath, can be detrimental to one’s social life while making patients extremely self-conscious about how their breath smells. When patients maintain their oral hygiene, they will also reduce persistent bad breath that can develop. Additionally, bad breath can be an indication of conditions such as periodontal disease, and an evaluation can catch these problems early enough for successful intervention. Improve overall health. Studies continue to show the oral systemic connection that links the health of the smile to the health of the body. When patients have routine visits and maintain a healthy smile, they are also reducing the risk of various medical conditions developing, including higher risks for strokes, heart disease, and diabetes. Get more value for your smile. Saving money is important to everyone, and when patients maintain their regular appointments with their dentist for cleanings and examinations, they are ensuring preventative services that catch problems before they become bigger, more expensive issues. Additionally, patients with dental insurance may find that they have coverage for cleanings and examinations at least twice a year, often with no deductible or copayments. It couldn’t be any easier for patients to obtain dental cleanings and examinations than it is with dental insurance coverage benefits. Early identification of cancer. Oral cancer is a condition that can affect anyone. 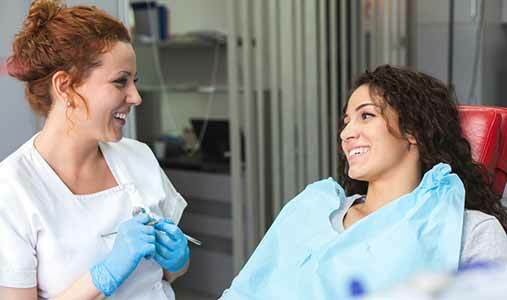 When patients visit their dentist for a cleaning and examination, their dentist can evaluate the smile for any signs of oral cancer that may have developed. When oral cancer is caught during routine evaluations and cleanings, it may be early enough for successful intervention. Every hour, one person in America dies from oral cancer, but this is one of the simplest to cure because it can be detected easily in the early stages. Drs. Lan Vo and Sean Breckley of 32 Dental are committed to offering patients ways to keep their smiles healthy and beautiful, including cleanings and examinations on a regular basis. 32 Dental has two convenient locations in Kennesaw, GA and our dentists can be reached for an appointment at either of them by calling (770) 423-1132. We welcome new patients into our practice for comprehensive dental care, including general, preventative, cosmetic, and restorative solutions for adult patients.